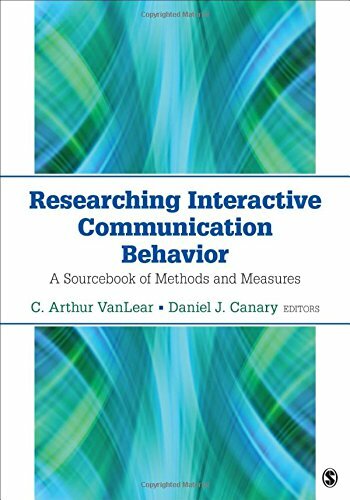 Researching Interactive Communication Behavior by C. Arthur VanLear and Daniel J. Canary provides students and experienced researchers with tools for studying communication behaviors through direct observation. The sourcebook provides sound coverage of both cutting-edge and well-established systems, measurements, and procedures, as well as detailed information on measurement selection, coding, reliability assessment, and analysis. In addition to offering theoretical discussions, each chapter also focuses on how to apply systems and principles in conducting actual original research and uses examples and exemplars to help readers understand and apply the methods. About: Researching Interactive Communication Behavior by C.